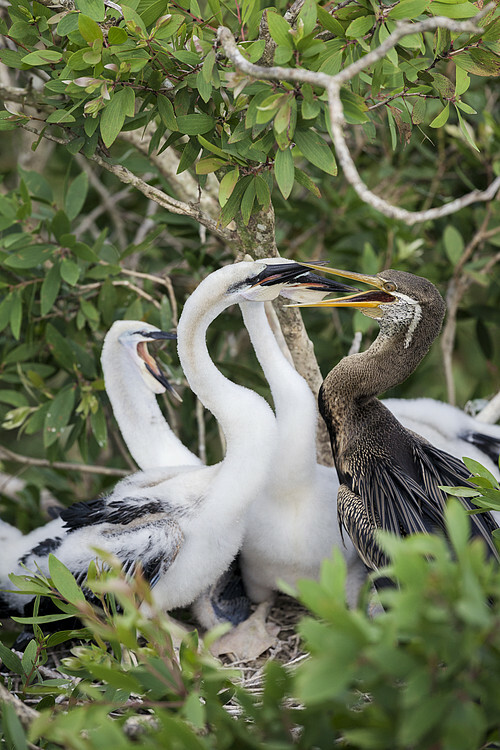 "Wetlands include swamps, marshes, billabongs, lakes, salt marshes, mudflats, mangroves, coral reefs, fens, peat bogs, or bodies of water – whether natural or artificial, permanent or temporary. Water within these areas can be static or flowing; fresh, brackish or saline; and can include inland rivers and coastal or marine water to a depth of six meters at low tide. There are even underground wetlands." According to this definition of Ramsar convention, there are more than 10 million acres of wetlands distributed in almost all ecological regions in Vietnam. In these wetland areas, it has a high level of biodiversity providing many important functions and values for the agricultural economy, which directly affecting the livelihoods of the indigenous people as well as playing a major role in their social and cultural life. The floodplain of the Mekong River in Vietnam formerly known as the Plain of Reeds, covering an area of 700,000 hectares (equal to 1,729,737 acres). This is a seasonal wetland with many particular habitats, for example, mangrove forests, water chestnut, rice fields and large lotus ponds. 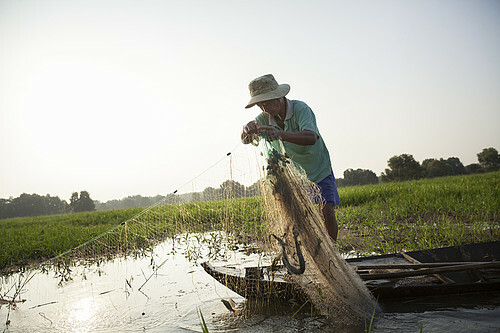 During “Doi Moi” period, the government of Vietnam had implemented a plan to exploit the Plain of Reeds in a comprehensive way by building canals, dikes, and other irrigation systems. This plan had resolved many enormous issues of the Plain of Reeds such as flood, acidification, and alkalization to alter the already-wasted land to the Vietnam’s biggest “granary” of nearly 650,000 hectares (equal to 1,606,184 acres). Therefore, it creates a considerably economic development and helps the local residents overcome the hunger and poverty. However, the economic activities, particularly, human’s intervention in nature, has strongly affected in a negative way to the biodiversity for more than three decades. The consequences include the degradation and alteration of ecosystems and natural habitats, the severely reduction of number and diversity of fishes and birds species. Fortunately, with the great efforts of scientists and local authorities in conservation, some areas in the Plain of Reeds have been protected, for instance, Tram Chim National Park, Gao Giong and Xeo Quyt Nature Reserve in Dong Thap province and Lang Sen Nature Reserve in Long An province. From 2007 to 2010, WWF-Vietnam cooperated with Coca-Cola Company to launch the phase 1 of the project “Wetlands Restoration in the Tram Chim National Park (in the Plain of Reeds)” with the aim to restore and protect the integrity of the wetland ecosystem. Besides, the project focused on the improvement of livelihoods of local people living in the buffer zone by establishing groups of people using resources in a reasonable way. Hence, this method had resolved the conflict between the biodiversity conservation and the livelihoods, by which the local habitants took the responsibility in management and protection the forest, in other words, their own livelihood. After 03 years of operation, authorities have already accepted and supported the policy initiatives in wetland management of WWF in Tram Chim National Park. These initiatives including appropriate water level regulation, strengthening the connection and water exchange through the structure of the flows, fire control, control and eradication of exotic species, as well as plowing land, planting grass and native trees, have improved the biodiversity of the local fauna and flora. Additionally, the programs aimed to increase the people’s livelihoods had been encouraged by local residents and authorities and brought many positive results. According to the programs, local people are allowed to exploit non-timber forest products in order to improve their livelihoods in accordance with regulations, thereby limiting the chance of full exploitation or depletion of natural resources as before. Furthermore, local habitants had participated in the environment education to raise their awareness of protecting natural resources of national parks and local provinces. 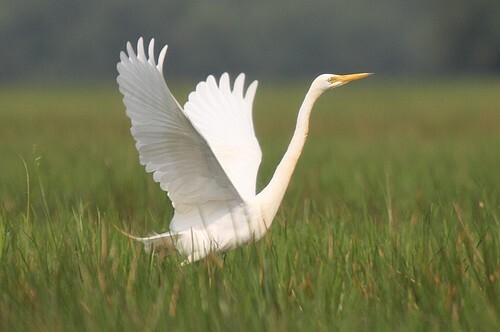 By the success of the policy initiatives in Tram Chim National Park, the area of Eleocharis grasslands, the favorite food of Sarus Crance, has increased three times. Besides, the number of cranes and fish-eating birds also increases quickly. 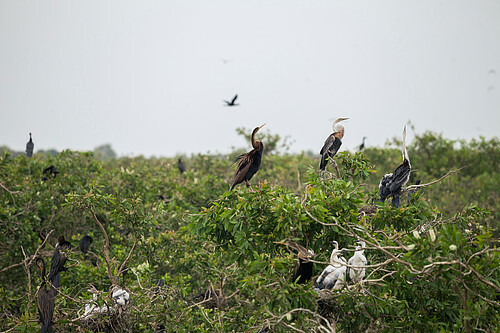 In 2012, after many endeavors of Tram Chim’s National Park officials, WWF and scientists, Tram Chim National Park has been recognized as the first Ramsar of Vietnam in Mekong Delta. Currently, WWF is continuing to carry out the phase two of the project in Tram Chim National Park with the research and adjustment of the Strategy in management of water and fire in the context of climate change and flood system change of the Mekong River. The project also supports and benefits the group of 200 households in sustainable resources exploitation as well as builds and implements the strategic development of eco-tourism in Tram Chim National Park, which helps to reduce the effect of tourism to the biodiversity and create a sustainable funding for the conservation of the park. In short, through the participation and being benefited from the activities of the project, the community’s responsibility in managing and protecting the National Park will be enhanced. Recently, WWF is promoting the restoration and conservation of the wetlands in Mekong Delta by projects and support in some protected areas such as Lang Sen, Ca Mau, U Minh Thuong, etc. Further, after the recognition of Ramsar for Tram Chim and Ca Mau protected areas, WWF also cooperate with the Department of Conservation and Biodiversity, the key national agency in implementing Ramsar Convention, in the proposal of recognition the next two Ramsar of Vietnam in Mekong Delta for Lang Sen and U Minh Thuong.